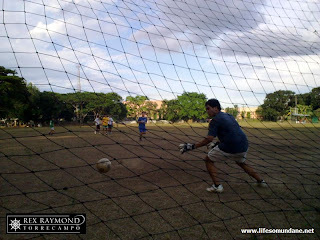 Home / Sport / How Do You Build a Football Club in Lipa? How Do You Build a Football Club in Lipa? This may seem strange to those who know me; but the truth of the matter is that I did not want to go. First of all, there was a UFL top-of-the-table clash scheduled on AKTV. Then again, I have not played in almost a year. So, I went along just to humour my abductor. The field, if I wanted to change my mind, was just about a kilometre away. I also thought that it would be good to see some of my former players. When we arrived, I took one look at the field and immediately decided that I was not interested. The field was way short of the right dimensions; but even I could have overlooked that. Rather, it was unkempt: uneven muddy surface probably from the frequent rains and tall crab grass from end-to-end. There was a mobile siopao store set up by one of the more entrepreneurial players; but I felt an ambulance would have been just as thoughtful. Not to mention insurance salesmen. So I made small talk with some former players; and before long escaped to watch the Sparks live on TV against Kaya FC. I felt edified by the continuing interest in the game – particularly among my former players – but I played continuously for almost thirty years after college. In other words, it was not as if I had not had my fair share of the game. A better field could have seduced me; that one just underscored the deprivation that football players have had to suffer in this city. Some of my younger former players have been asking me to set up a football club, probably inspired as everyone else by the resurgence of the sport in the entire country. First, to the sixty-four dollar question: WHERE? At the very least, to start a football club, you just really need three things. Players: CHECK! Equipment: CHECK! Field: Houston, we have a problem! So there you have it, the most difficult thing in building a football club in this city is also among the most basic: the field. Not easy to find in a growing city where every vacant lot is prime property waiting for a mall to be built on it. Whatever open spaces there are I am sure are planted with coconut or sugarcane in the outer fringes of the city where nobody wants to go, anyway. In football-playing countries – which, of course, we are just starting to be – there are public parks exactly for the purpose. In Lipa, for the moment at least, these are just figments of one’s imagination. What a pity that this city could not have taken to the sport when it could have. In the eighties, when we were representing the entire Southern Tagalog Region in the now-defunct Coca-Cola Go-for-Goal, our football was superior to that played in cities like Davao, Iligan, Cebu and Dumaguete. While we might not have been successful against the Ilonggo teams, we were not overwhelmed either. Now, these cities are breeding grounds for national players. We were overtaken years ago! The irony is that interest had been simmering even before it became fashionable to become a football fan, no small thanks to cable television. How to convince the television fans to step on the football field, well this is a bit more problematical. 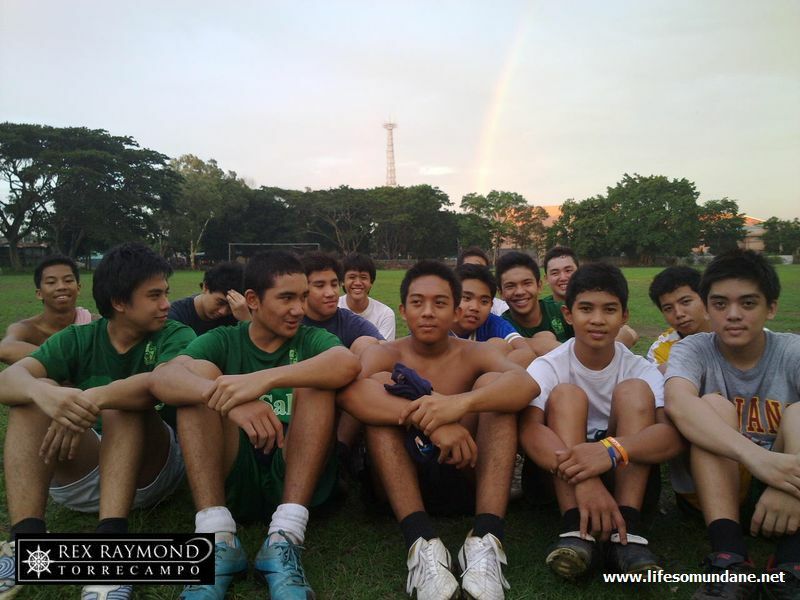 La Salle and Canossa will probably continue to play football years into the future. The problem with school football, though, is that it stops after graduation. The void that is created by leaving school should logically be filled by a club. It does not even have to be a competitive club. God knows even in football countries, there are many clubs that exist just for Sunday football. But even the Liverpools and the Barcelonas of the world started somewhere. In fairness, there already are clubs in this city. For whatever it has been worth, interest in the game is being sustained. Last Saturday, for instance, the players that I saw were a happy mix of gurangoes and bagets. Never mind the gurangoes, but does anyone in this city even care that one of the bagets will one day be in the blue of the Azkals? Enough, at any rate, to make a decent public park available for whoever wishes to play the beautiful game. So how do you build a football club in Lipa? You get down on your knees; close your eyes; put your palms together; and pray as hard as you possibly can for a decent football field.